Is ranked joint 9855th with 37 other trigs (more). A very large tower whose grounds are �under works�. 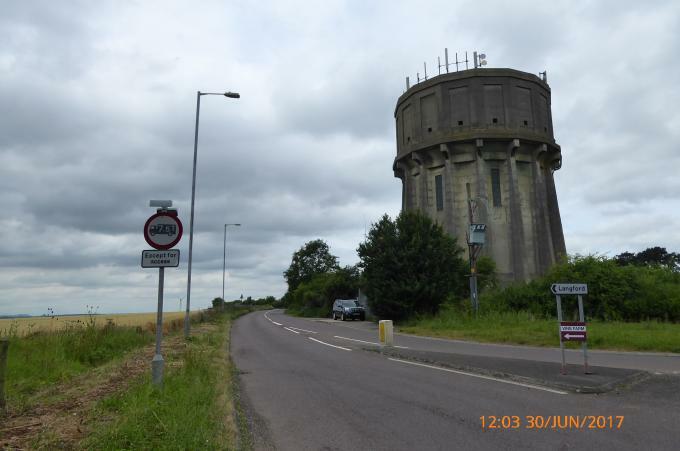 Large and substantial concrete water tower constructed 1934 at a cost of �14,500, aka Langford Water Tower. A billy-bonus bag as here for the potential new tump coming onto Hill-bagging not realizing the tower is a trig. OS list 2 components: Centre and Cut. Former good, no access to investigate the latter. Station TL36/020 consisting of the centre and what is described as an X-cut on the vent, unlikely to be visible from the ground. They were computed to 2nd order in 1950 and maintained in 1975. 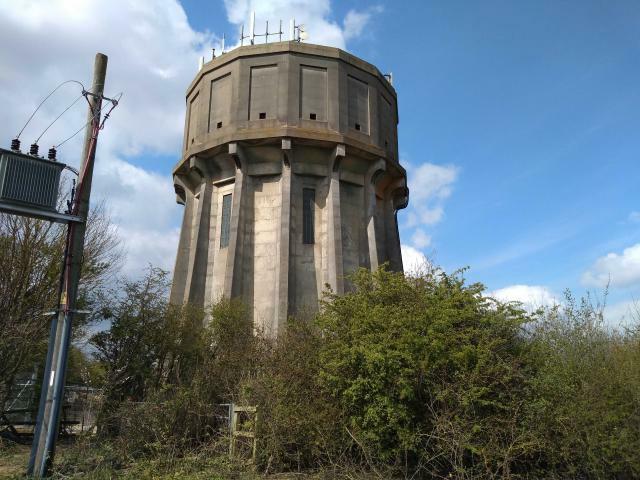 It is a prominent water tower, easily seen west of the A1, and today bathed in warm sunshine from the low sun.